This year’s NCCL Pre-Conference, organized by the Federation of Catechesis with Hispanics (FCH), will take place on Sunday May 17, 2015 in Buffalo, New York. The theme this year came as a result of Dr. Hosffman Ospino’s presentation on the summary of the results from his National Study of Catholic Parishes with Hispanic Ministry, which was presented at NCCL 2014. The study found many new insights, but one in particular is the need to invest in more resources and better pastoral outreach to los jovenes, particularly U.S.-born Hispanic youth. A vast majority of U.S. Hispanic Catholics were born and raised in the U.S. yet more pastoral attention has been given to Hispanic immigrants, primarily because they are the most active and committed to parish life. Meanwhile, many young jovenes are falling away from the faith—for numerous reasons. So, who are U.S.-born Hispanics? Why are they usually not as active in their Catholic faith as Hispanic immigrants? What is needed to best reach them pastorally? How much do they differ from Hispanic immigrants and is it better to integrate or separate them in faith formation? To truly and intentionally explore these questions and the current state of the matter, FCH has reached out to two experts in the field of la Pastoral Juvenil (the specific ministry to/with/for/from Hispanic youth and young adults): Ken Johnson-Mondragon and Lynette De Jesus-Saenz. Ken Johnson-Mondragon was born and raised in Albuquerque, NM. After receiving his M.A. in theology from the Catholic University of America, he served for four years as a parish youth minister and pastoral associate. Since 1999, he has worked for Instituto Fe y Vida, a national Catholic formation institute for Hispanic youth and young adult ministry, where he serves as Director of Research and Publications. In 2007, Fe y Vida published his first book, Pathways of Hope and Faith Among Hispanic Teens. Ken is nearing completion of a D.Min. in Hispanic ministry from the Oblate School of Theology in San Antonio and is currently working on a guidebook for ministry with Latino adolescents. Beginning in May 2015, Ken will be shifting his position to that of consultant and member of Fe y Vida’s Senior Pastoral Team. 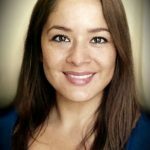 Lynette De Jesus Saenz is the Director of the Office for Cultural Diversity and the Hispanic Pastoral Institute in the Diocese of Rochester, New York. 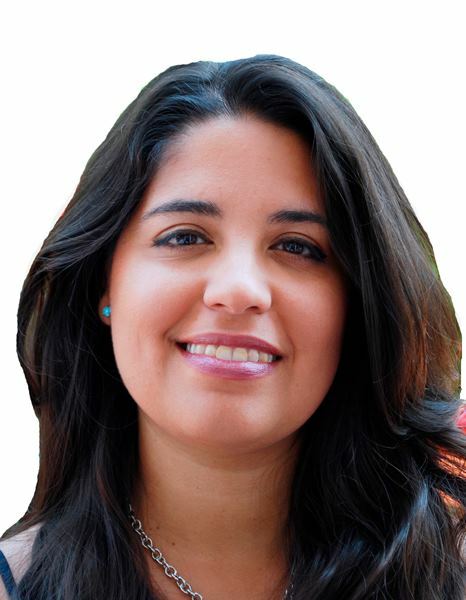 Prior to this she was the Associate Director of Research and Publications for Instituto Fe y Vida where she coordinated a national research project on the pastoral needs and faith practices of Latino youth and their parents. Over the last twenty years, Lynette has also served as pastoral associate, director of faith formation, and youth minister. She holds a M.S.W. from the State University of New York in Brockport and is currently working on her M.A. in Theological Studies from St. Bernard’s School of Theology and Ministry in Rochester, NY. Recently, Ken and Lynette wrote an essay entitled, Hispanic Ministry and the Pastoral Care of U.S.-Born Latino Youth, a piece from a larger document to be published on the National Symposium of Catholic Hispanic Ministry, which was held in June 2014. In this essay, they explore topics such as Latino identity, generational differences, language, and ultimately, the disconnection from parish life. Addressing such topics as these is what church leaders need to fully comprehend and further discuss in order to implement an effective and immediate action plan, specific to their own reality. FCH will feature both speakers for an informative and interactive presentation, addressing such topics and questions as the ones mentioned previously in this article. The FCH Pre-Conference is open to diocesan directors or coordinators, parish catechetical leaders, catechists, and youth ministers/leaders. Please consider joining us for this important dialogue. Together, with the help of our Blessed Mother Mary, we can bring our jovenes back to Christ, back to our Catholic faith.